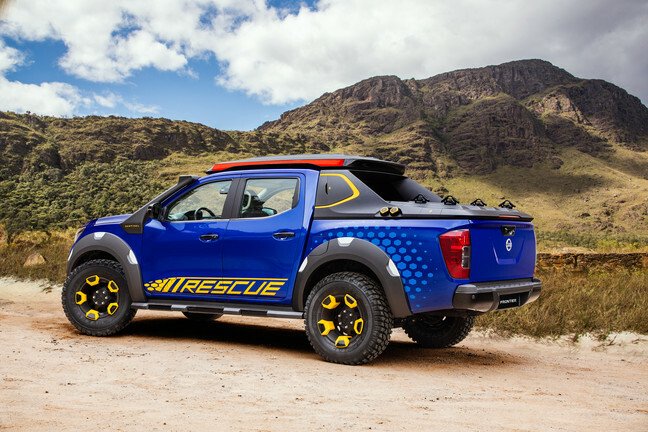 As seen at the 2018 São Paulo Motor Show, Nissan introduced its Frontier Sentinel concept truck that’s ready for rescue duty. 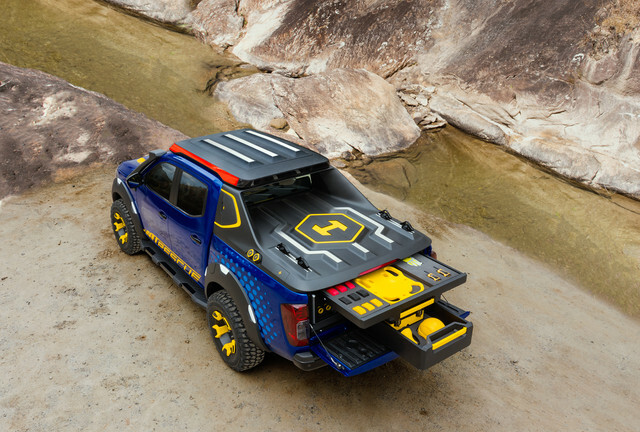 This mid-size pickup is built with remote areas of the world in mind, accounting for extreme terrain conditions during operation. 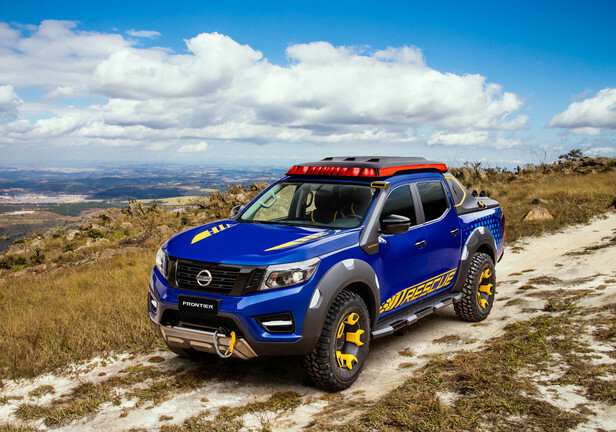 According to the official release from Nissan's global division, the adventure-mobile is packed with innovative and useful kit. 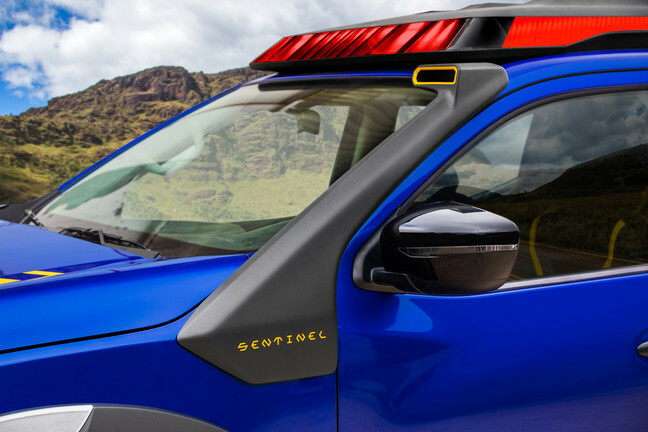 The truck is equipped with two battery packs that come straight from the Nissan Leaf parts bin—these will offer a source of auxiliary power for the additional power-sucking accessories. 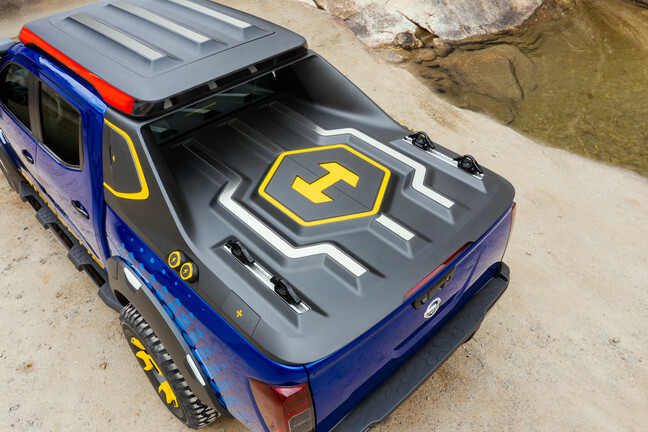 Accommodations have been made in the truck bed to fit the battery packs, but no space is wasted as it's also equipped with drawers for maximum rescue utility gear storage, plus a deployable platform acts as a drone landing pad. As far as the body goes, it's covered in bright Thunder Blue with contrasting yellow accents, which was inspired by the Brazilian hyacinth macaw parrot. A winch is integrated into the space behind the front bumper, and a snorkel gives it the ability to navigate through deep waters. 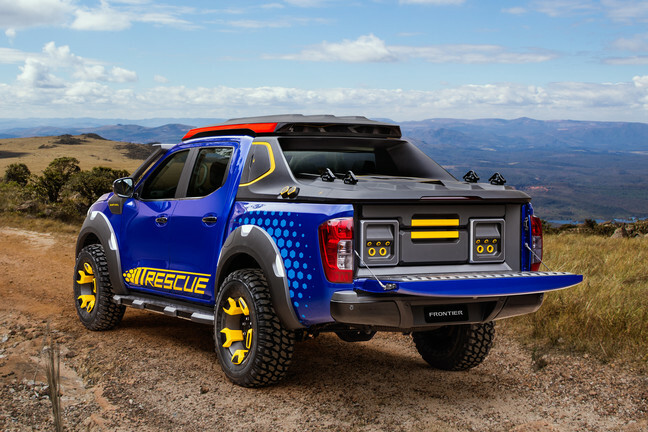 The special lighting system distinguishes the truck as an emergency rescue vehicle, and it rolls on 16-inch wheels that are wrapped in meaty off-road tires. 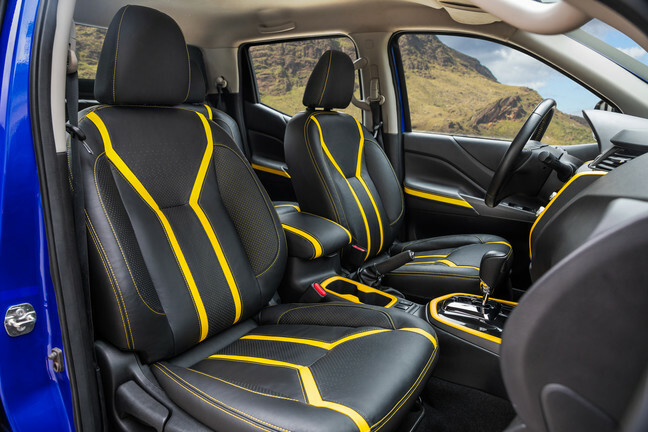 The inside is clad with yellow accents on the trim pieces and seat stitching on the black leather seats. A 360-degree camera is amongst the many tech features already available as a part of the standard Frontier line available in Brazil. 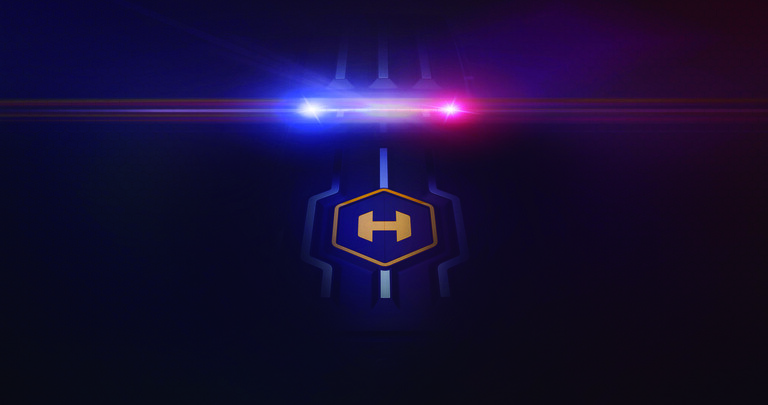 Likewise, it comes with the line's powertrain options of a single or twin-turbo 2.3-liter diesel that’s backed by either a six-speed manual or seven-speed automatic transmission.